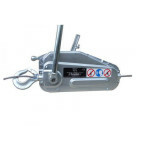 Protier Lifting Services offer a comprehensive range of Lever hoists, also known as pull lifts. 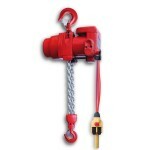 We also offer Atex approved Lever hoists, which are safe for petro- chemical and other explosive environments. And a range of lever hoist suitable for ROV and subsea. Our range from 250kg to 10000kg. They are multi-directional, extremely versatile and adaptable to many applications. Protier Lifting Services offer a comprehensive range of Electric chain hoists from 250kg up to 10,000kg swl. Available with optional powered travel trolleys which can be 415v (3 Phase) or 110v (Single Phase) from 3 meter to 30 meter height of lift with full pendant control allowing safe operation. 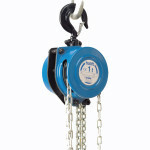 Chain collectors or chain bags supplied with all hoists. Protier Lifting Services offer a complete range of hand operated Tirfor winches, They can be used to lift, pull and position loads over great distances depending on the wire rope length. They are suitable for use in numerous configurations and are the ideal solution for use in professional applications; they are operated by a simple lever. 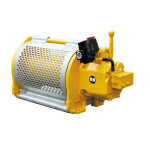 They are available in capacities 800kg to 3200KG. 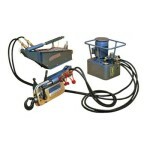 Protier Lifting Services offer the complete range of powered hydraulic Tirfors. With all the benefits of the manual Tirfor, the powered models of the Tirfor machines offer a less labour intensive operation ideally suited to moving large and heavy loads, such as machinery movement, platform lifting, wind turbine erection and much more. The Hydraulic tirfor is available for use with 415v power supply or complete stand alone system with in built petrol motor. 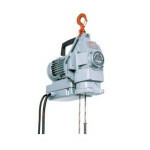 Protier Lifting Services offer the complete range of Tractel Minifor Hoists. 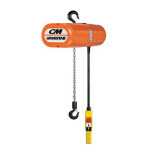 Minifor hoists are a lifting machine that can be utilised in many different lifting scenarios. 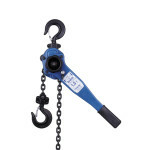 Minifor hoists are smaller and easier to handle than most other hoist assemblies. The Minifor hoist is a complete stand alone hoist system, it uses a hook suspension and can be used at any height of lift depending on cable length. Capacities from 100kg to 950kg and can be used with wireless or cabled controls. Protier Lifting Services offer a comprehensive range of 415v Electric winches, we have an extensive range from 200kg to 3000kg with wire rope capacities from 10meters to 1000 meters. Used in conjunction with our sheave blocks the pulling / lifting capacity can be greatly increased. 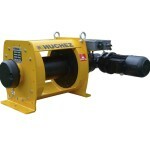 All winches are base mounted for ease of use and securing in place.